The back sleeping position, although not the most popular, is one of the most recommended positions for overall health and for getting a good night’s sleep. Click here to jump to our top rated mattresses for back sleepers! Sleeping on the back makes natural alignment much easier for the body, especially the head, neck, and spine. A mattress with a lot of support is important to keep the body in consistent alignment all night. This sleeping position can also cause or worsen lower back pain if the mattress doesn’t provide the right kind of support. Back sleepers should consider picking a mattress with a firmness level of medium to medium-firm, and firmer beds may be better for those with lower back pain. Back sleepers naturally distribute weight across the body, which helps to minimize pressure points. It is key for back sleepers to find a mattress that does have just enough softness to conform to the body and the arch of the lower back. Some mattresses are cooler than others, based on material and construction. Back sleepers may want to consider a mattress with cooling properties, as some materials can trap heat. The best mattresses for back sleepers are medium to medium-firm, and the desired firmness level varies from person to person, depending on body, weight, and personal preference. Soft enough to cushion the natural alignment of the body, spine, and lower back, and relieve pressure points (head, shoulder blades, heels and tailbone, etc). The recommended comfort level for back sleepers ranges from 1 to 10. Some very firm or soft mattresses can work for back sleepers, depending on the sleeper’s personal preference. Most back sleepers prefer a medium to medium firm mattress, that ranges from 5 to 7 on the firmness scale of 1 to 10 (with 10 being the firmest mattress). Back sleepers need to know that firmness level can be too high or too low, resulting in back pain or other issues if the firmness level and support are not accurate. A mattress with the right amount of firmness and support can help alleviate unwanted pressure on the back and keep the spine supported in its natural position. Also, using a pillow under the back of the knees can help with spine alignment. Back sleepers may be prone to snoring, which may be occasional or consistent, depending on the person. The back sleeping position causes the airway to narrow and the soft palate to collapse, making a vibrating sound. What is the best type of mattress for back sleepers? There are many mattresses varieties for back sleepers to choose from, especially because the comfort scale and firmness levels can vary so much based on personal preference. Consider these different mattresses for back sleepers. Learn more about the different kinds of Mattress Support Cores. Note: Back sleepers should consider a mattress that is medium to slightly firm or firmness range of 5 to 7 on a scale of 1 to 10 (10 being the firmest). Also, a top comfort layer of about 2 inches is a good starting place recommendation for back sleepers, to provide the right level of cradling for the body. Another kind of mattress back sleepers can consider is the innerspring mattress. 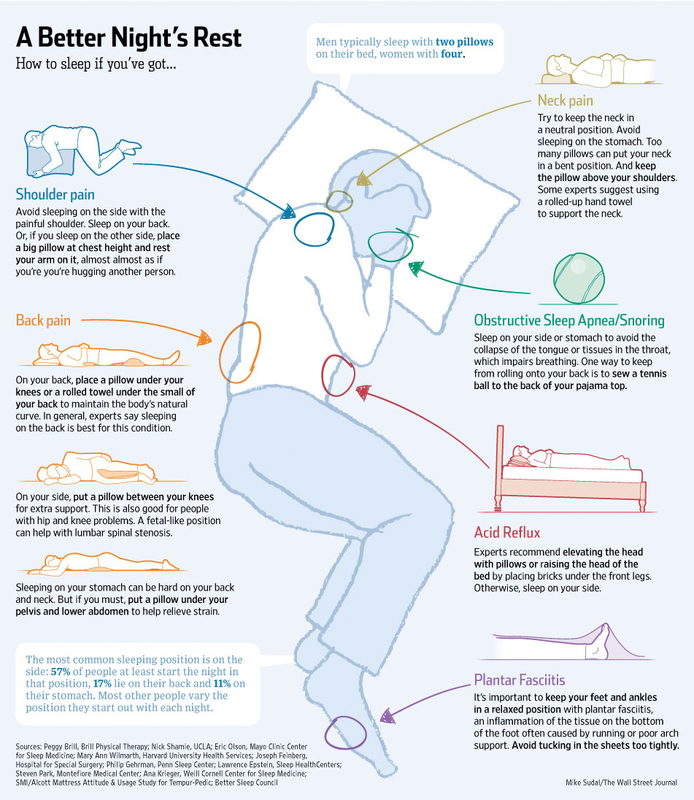 What else should a back sleeper consider? In addition to a mattress with the proper support and the right amount of firmness for the sleeper, back sleepers should also consider the right pillow. Here are a few tips for picking a pillow that’s best for back sleepers. Back sleepers rely on personal preference when it comes to choosing a mattress, and there are many mattress varieties available with different support cores and comfort layers. Back sleeping is the most recommended sleeping position, and back sleepers have specific needs they look for in a mattress to ensure they get the healthiest sleep possible. This guide is focused on mattresses that meet the needs of back sleepers. With a wealth of information available to consumers about mattresses, the mattresses in this guide were selected based on research from publicly available sources like forums, chat boards, company websites, reviews, and information provided by consumers. All mattresses in this guide were selected based on research, and the data presented here is not weighted. Information on each mattress was evaluated and taken into account as a whole. Back sleepers will find the mattresses in this guide to be the best of the best for their sleeping position. These high-quality mattresses and brands perform best for back sleepers, and are known for having the best design, technology, durability, and special features available on the market. The Amerisleep AS1 is the firmest mattress in the Amerisleep line. 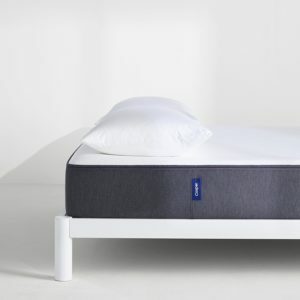 Its supportive design provides more lumbar support than the average memory foam mattress and promote spinal alignment, making it ideal for back sleepers. The 10-inch mattress consists of two layers and a cover. The foundation of the mattress is an 8” support core of high-density poly foam. This layer provides the compression support and shape of the mattress and results in its overall firmness. 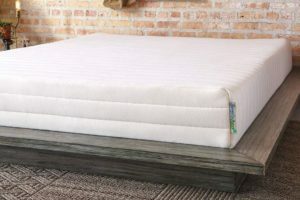 The 2” top comfort layer consists of an open-celled, breathable memory foam for pressure relief and temperature control. The Celliant cover has further cooling properties. Firmness: The Amerisleep AS1 is a firm mattress that has all the features most back sleepers will need for the lumbar support missing in more plush mattresses. 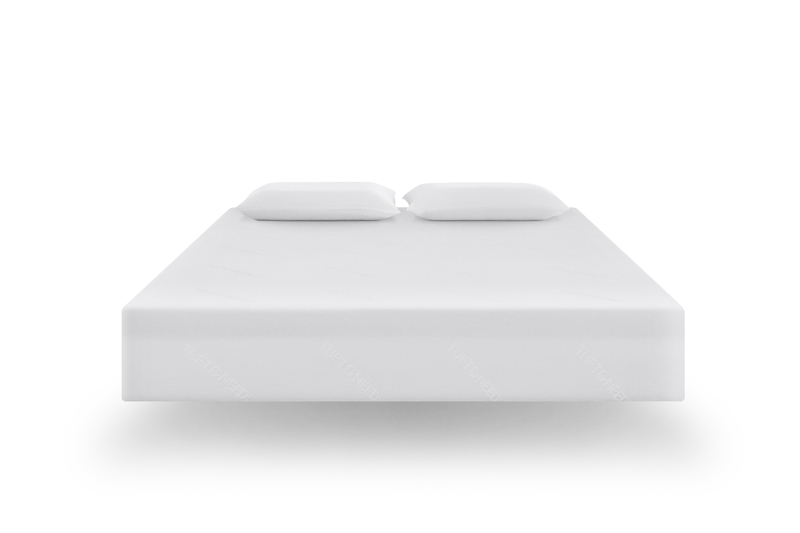 Spinal alignment: The comfort level of the AS1 is ideal for back sleepers who are most susceptible to misalignment when sleeping on traditional memory foam. Sleeps cool: The open-cell structure of the foam and the specialized breathable cover both help provide adequate air flow and transfer heat away from the body. Learn more about the Amerisleep AS1 by reading our full AS1 mattress review. 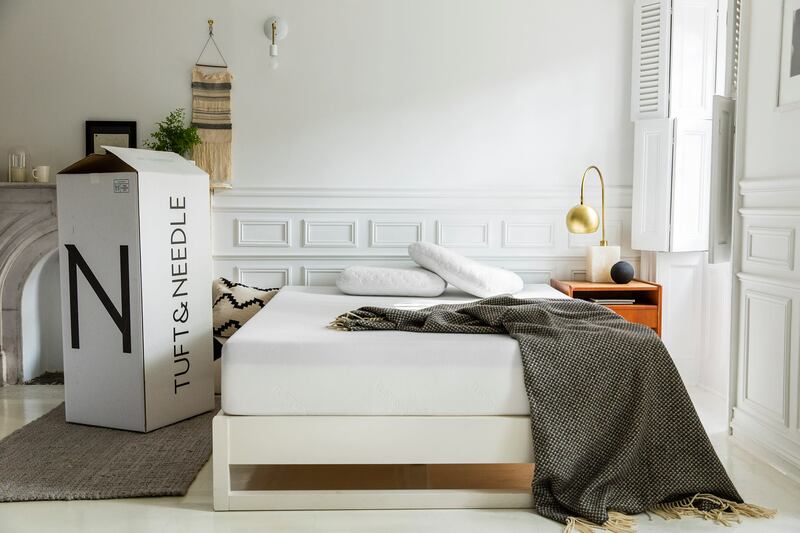 Tuft & Needle makes foam mattresses that are made with a proprietary adaptive foam. The foam is flexible in its performance and when pressure is applied, the mattress becomes even more supportive. Tuft & Needle mattresses are constructed with a 3-inch foam comfort layer and a 7-inch poly foam support core layer. They are medium firm, which is recommended for back sleepers. The comfort layer offers excellent pressure relief, a key component needed for back sleepers because the entire back side of the body puts pressure on the surface of the mattress. The 3-inch thickness gives enough softness, but prevents back sleepers from sinking down too far into the mattress. Support: The foam in the Tuft & Needle is designed to provide more support when pressure is applied. Spine alignment: The structured poly foam foundation is good for back sleepers because it helps keep the spine and body aligned naturally. Sleeps cool: Tuft & Needle foam is breathable and helps draw out heat for cooler sleeping. 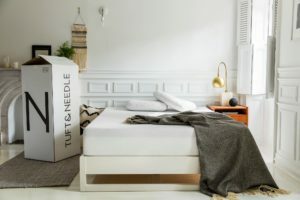 Learn more about Tuft & Needle in our full Tuft & Needle mattress review. Check out these 5 brands that all garnered high overall customer satisfaction ratings and are ideal for back sleepers. Zenhaven, by Saatva, is an all-natural latex mattress that offers two firmness levels for back sleepers. Simply flip the mattress to choose from Luxury Plush firmness and Gentle Firm firmness. The Zenhaven is made of four layers and a cover totaling 10 inches. The top Luxury Plush comfort layer is a 1.5-inch layer made with Talalay latex. It features a 5-zone comfort layer system that provides comfort and pressure relief, bounce, and responsiveness for movement and position changes. On the other side, the Gentle Firm layer provides additional support as the bottom support layer when the Luxury Plush firmness level is used, while offering more firm comfort when it is used as the top comfort layer for the Gentle Firm firmness level. 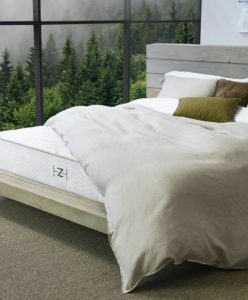 The latex used in Zenhaven’s mattresses does not trap heat, and the latex layers are also aerated and promote airflow. The cotton and wool cover is also breathable, which helps keep the mattress cool on the surface. Adjustable firmness: Zenhaven mattresses are designed to be flippable, with one side built to Luxury Plush firmness and the other side Gentle Firm firmness. All-natural: The Zenhaven features 100% natural latex, with no synthetic latex materials or foams, and organic cotton and wool. 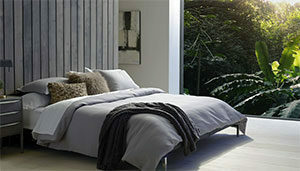 Sleeps cool: With its cotton/wool cover, the Zenhaven does not sleep hot. Learn more about the Zenhaven in our full Zenhaven mattress review. The Avocado Green Mattress is an all natural, non-toxic, and eco-friendly latex hybrid mattress that is handmade in California. The Avocado mattress combines the firmness and comfort of a latex mattress with the support of an innerspring mattress. The Green Mattress is built to provide ergonomic support with a reinforced perimeter. 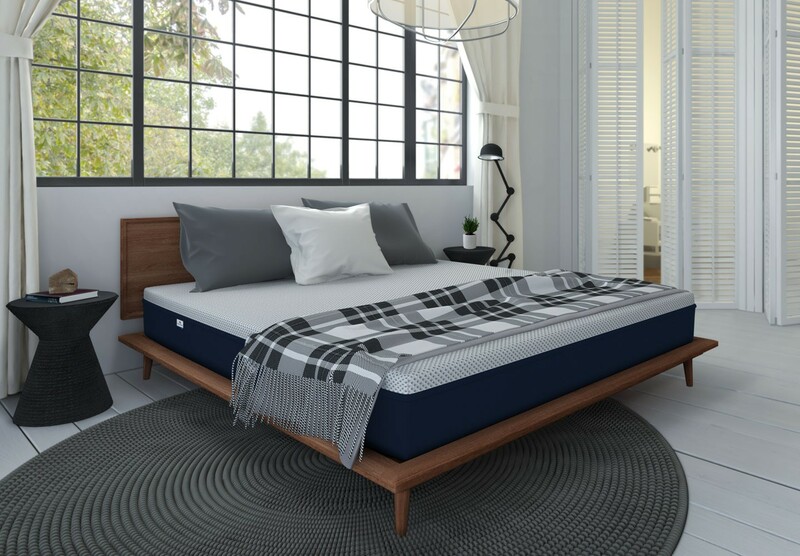 The mattress is constructed of 100% natural Dunlop latex foam that is durable and resilient while allowing for gentle support and breathable temperature control, all important features for a back sleeper. A layer of Joma New Zealand Wool helps wick away moisture, while the organic cotton mattress cover is soft and breathable. 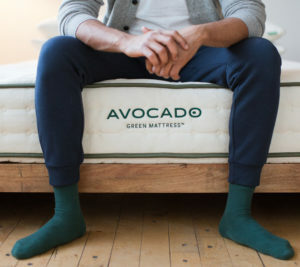 Thickness: Avocado mattresses come in standard and European-styled pillow-top models. The standard mattress is 11-inches thick and is a good choice for back sleepers. Support: Designed with 3 distinct zones of 576 to 1,414 coils, the mattress is built to provide ergonomic support with a reinforced perimeter. Sleep trial and warranty: Each mattress is covered by a 100-night risk-free sleep trial and a 25-year limited warranty. 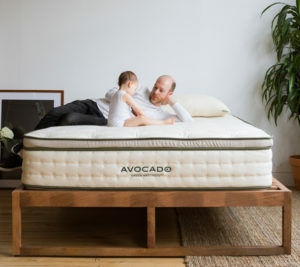 Learn more about whether this Avocado mattress is right for you in our full Avocado Green Mattress review. The Casper mattress is a 10-inch foam mattress consisting of four layers. The Casper tends toward the firmer side, which is ideal for back sleepers. The top comfort layer is a responsive foam layer that lays on top of dense memory foam, allowing for support and avoiding the sinking feeling often experienced with memory foam. Another layer of foam lies on top of the 5-inch base layer, which consists of high-density poly foam. The Casper mattress responds quickly to pressure, which gives the mattress some bounce and helps distribute pressure evenly when sleeping on your back. 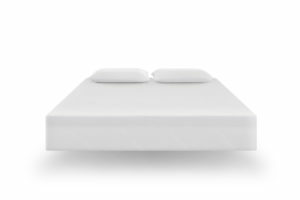 Pressure relief: The Casper’s high-density memory foam helps provide pressure relief and support. Sleeps cool: The Casper mattress is designed to move heat away from the body. Comfort: The Casper offers back sleepers some bounce and a balance of firm support with the hug of memory foam. To learn more about the Casper mattress, read our full Casper mattress review. Spindle offers an adjustable natural-latex mattress made of 3 layers of Dunlop latex. 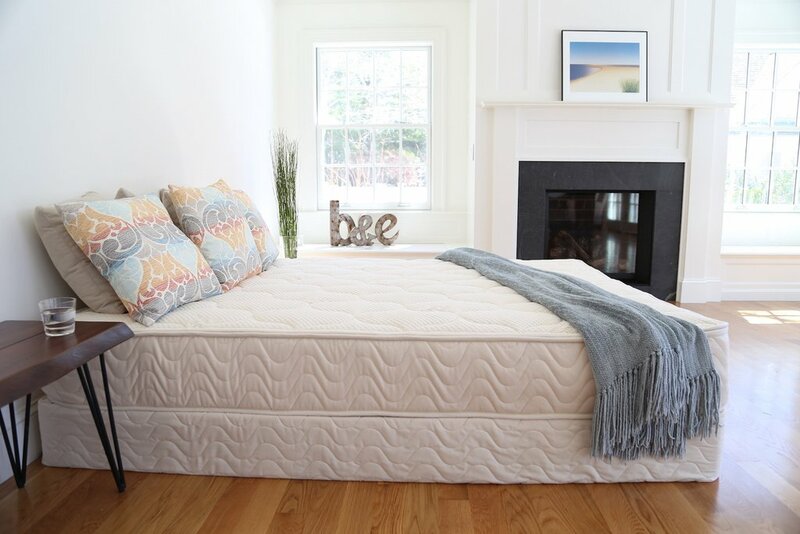 Back sleepers can customize the firmness of the Spindle mattress by rearranging the layers until they find the right balance of support and comfort. The Spindle consists of a cover, three main layers of latex, and a wool topper, which together measure 10 inches total. The three layers of 3” Dunlop latex are 100% natural and Oeko-Tex Certified. The 1” layer of natural wool batting is covered with organic cotton. The wool comes from sheep raised in Northern California and Oregon. The cover is organic-cotton twill quilted with wool. The sides of the cover are cotton canvas. As a latex mattress, the Spindle is the best of both worlds for many back sleepers because it offers support and quick recovery, while still contouring to their body and providing adequate pressure relief. Customizable: Back sleepers can customize the firmness of their Spindle mattress by rearranging the layers. Support: The Spindle provides ample support and spring for back sleepers. Sleeps cool: Its wool comfort layer keeps the Spindle breathable so that it doesn’t sleep hot. Learn more about the Spindle by reading our full Spindle mattress review. Sleep On Latex makes latex mattresses that are made with natural latex derived from rubber trees, with no added synthetic latex, fillers, or any fire retardants. The Pure Green mattress comes in two thickness levels – 7-inch or 9-inch — and in several firmness levels from soft to medium to firm. The 9-inch mattress features a 1-inch quilted wool top comfort layer and a 2-inch Dunlop latex comfort layer. It is supported by a 6-inch support core foundation layer. The 7-inch mattress includes a 1-inch quilted wool comfort layer and a 6-inch support core base. Both the 9-inch and 7-inch mattresses come with a cotton and wool blend zippered cover that can be removed. These mattresses are ideal for back sleepers because they provide natural spine and neck alignment, which is important for back sleepers in preventing back pain. In addition, they offer good temperature control for back sleepers who sleep with the entire back side of the body on the surface of the mattress. Support: The Dunlop latex support core gives good spinal support to back sleepers. Pressure relief: While supportive, this design has enough contour to offer effective pressure point relief. All natural: The Pure Green mattress is made of all-natural materials with no synthetic latex added.